New York City can easily overwhelm you when you need to take that crucial decision: What to eat next? In this culinary Babylon, committing to a breakfast, lunch, dinner, or a snack to keep you going in between, often troubles you more than your next Tinder date. And as that neuroticism wasn’t already enough, New Yorkers are notorious about striking a fight for the “best pizza”, add your own poison, both iconic or exotic. I’m not playing the gluttony-messiah here, however, after having led some hundreds of food tours all over NYC (check them out at In Food We Trust Culinary Tours) and fed a few thousands of guests who reached out to me with healthy appetites, let me share with you some of my favorite spots to indulge yourself in the immeasurable cornucopia of this food-centric city. 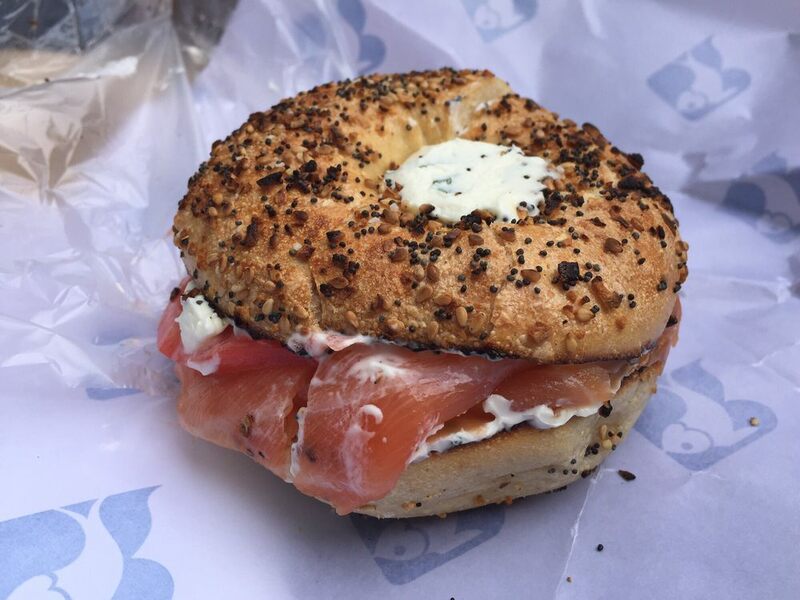 It certainly isn’t a great compliment for a bakery to sell “old” goods, but Glaser’s Bake Shop in the Upper East Side is very proud to be one of the very few NYC food establishments which goes back 115 years! 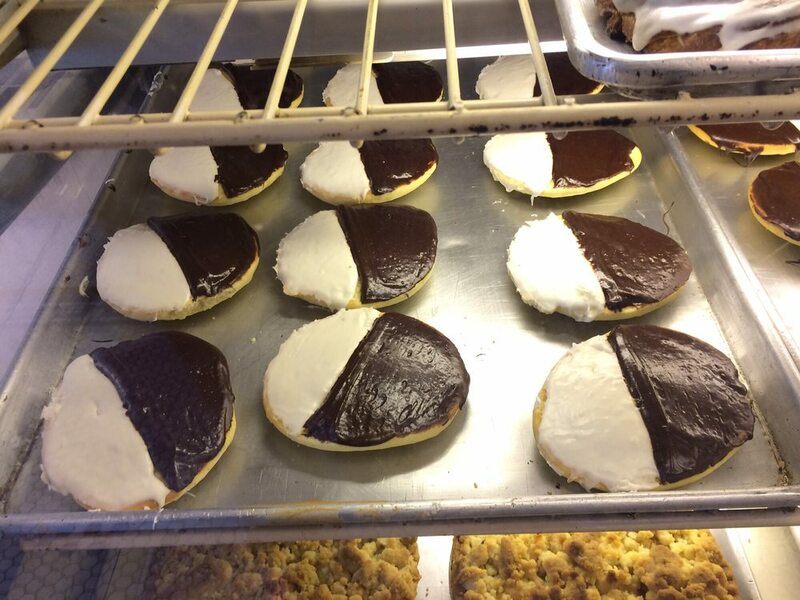 Glaser’s nostalgia fare will make your sweet tooth happy with some of the best black & white cookies in town. They schmear some fluffy frosting on them, instead of their rivals who prefer a fondant cover. But don’t leave this retro bake shop without a few squares of their legendary brownies, as well. 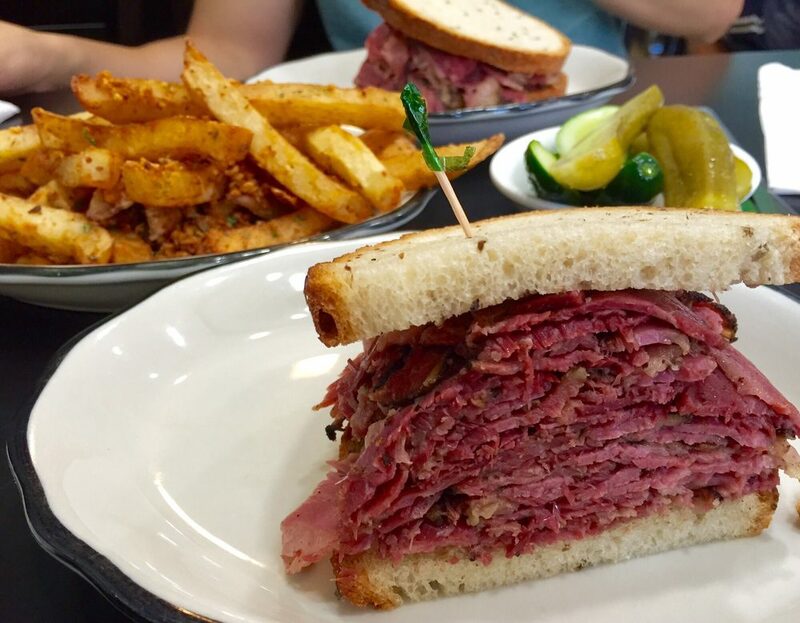 There are way more famous pastrami joints in NYC, but this tiny spot in Lexington Ave is the ideal location for the ones who want to skip the all-around-the-block lines, without compromising on the quality and flavor. The humongous pastrami sandwich comes with a couple of sour & half-sour pickles, and mustard (on the side) and I always accompany it with their garlic fries and the acquired tasted for the most, but so refreshing, celery soda. Having travelled quite a bit around the Central and North Italy, I thought I knew Italian specialities. Alas, I was missing out one of the most quintessential culinary treasures of Sicily. The moment I sank my teeth in the crispy cannoli tube at Rocco’s in Bleecker St. I listened to an orchestra of angels started performing the crescendo part of Verdi’s opera The Sicilian Vespers. 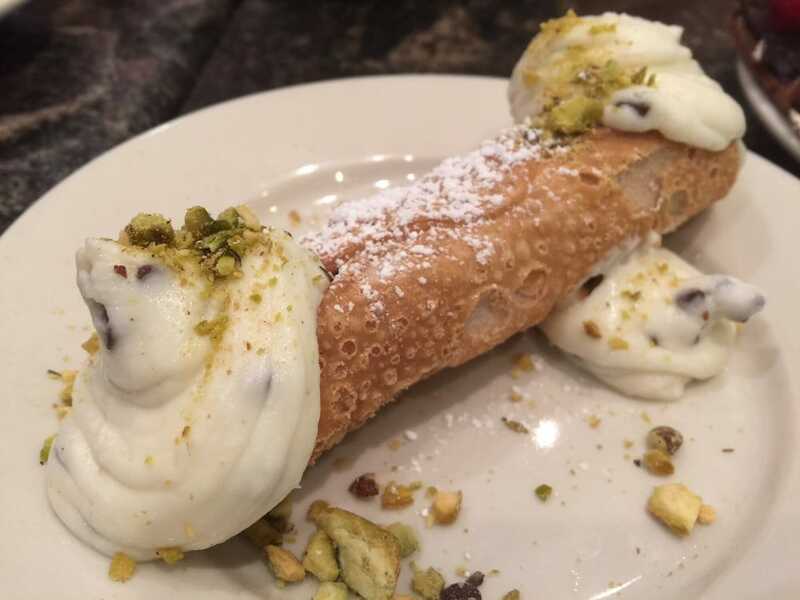 Ask them to deep your cannoli’s ends in crushed pistachio. This suggestion is only for the extremely committed foodjobs (as in nutjobs). First, you need to ride the subway for a minimum of 15 stops from Midtown Manhattan. Second, and much more nervous breaking, the waiting time to order and eventually to get your slice or a whole pie, averages well over an hour and can easily exceed two. Go there only if you want to see a pizza legend still performing his artisanal obsession, doing everything in a slow pace which will inspire your zen-self. If that’s not your style, you can grab a Di Fara’s slice much easier and faster in his Las Vegas recent expansion, inside the Caesars Palace Hotel. If you don’t live under a rock for the last 5-6 years, you probably know matcha. The green powder made of dried leaves of green tea, through a long and elaborated process that gives matcha its fame as a miracle elixir, celebrated for millennia in the Far East. 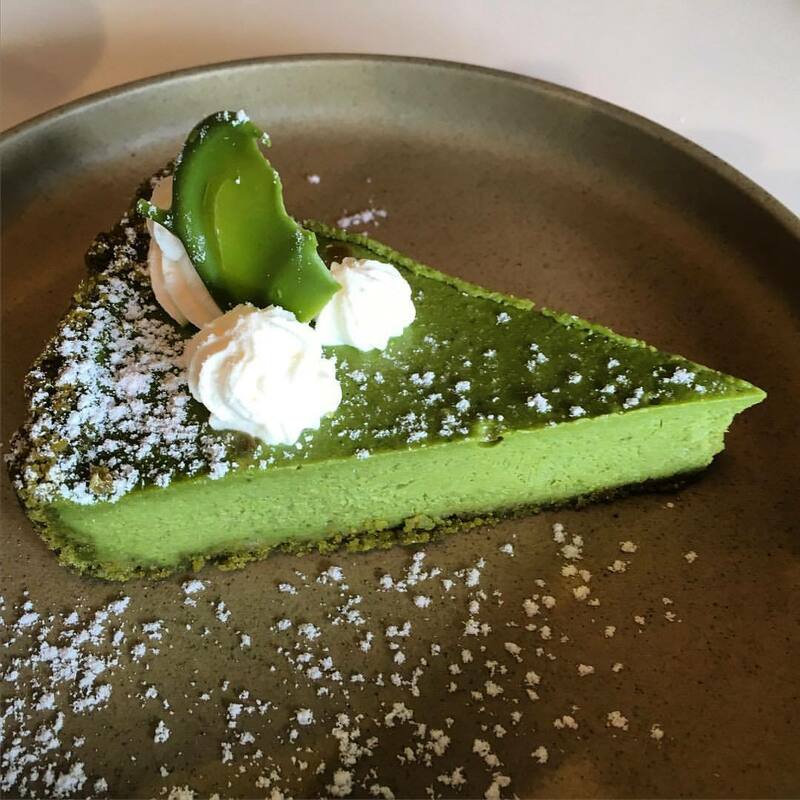 As I know that many of you out there aren’t the biggest fans of the natural bitterness of the antioxidant concoction, chef Tomoko can easily convert you to a matcha fan with her sublime desserts based on green tea. The Parisian haute pastry techniques meet her Japanese heritage and make this spot another (like you needed any more) reason to take the L train to Williamsburg. 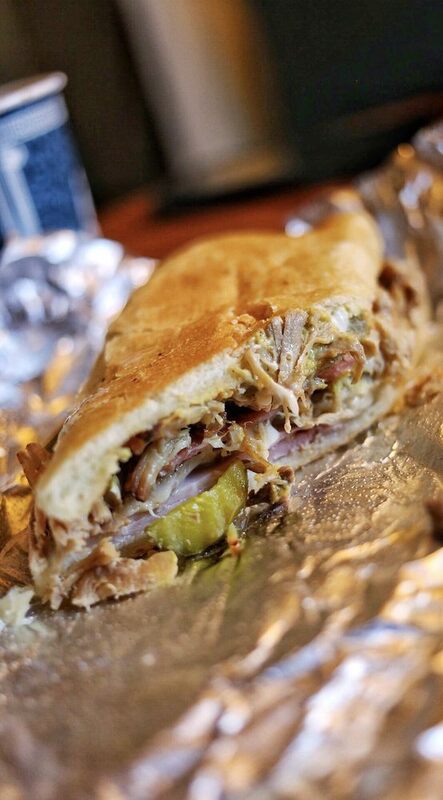 It’s not that difficult to travel nowadays to Cuba, but having a legit Cubano only half a block away from Times Square? You can’t beat that! As Carmen, who works for 32 years in the restaurant, says, on the top of the roast pork, the ham, the swiss cheese, the mustard and the pickles, they also add salami, too. Food and its price is a huge drag here, however, I’m always fascinated to gobble a wide variety of Caribbean dishes in the company of Batman, Superman and a few other superheroes, plus a bunch of red costumed Elmos, in their lunch break from their Times Square shifts. Astoria in Queens is one of the most populated Greek communities outside of Greece. 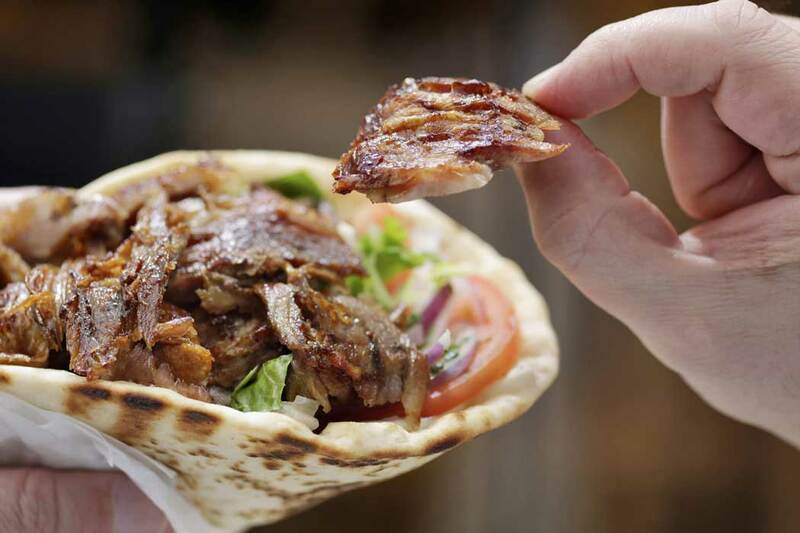 The Greeks of the neighborhood keep the “opa!” spirit alive with their dozens of Greek tavernas, Greek supermarkets, Greek coffee shops, Greek butcher shops, Greek fishmongers, Greek bakeries, Greek churches, Greek cultural centers…you got the point! If you want to know what’s the golden standard for the authentic Greek gyros, BZ Grill in Astoria Boulevard is the place to go. The only problem, though, is after the real deal, you won’t be satisfied any more with any random imitations. Don’t tell I haven’t warned you. The majority of NYC visitors and many locals omit the ancient connection of the city with these salt-water bivalve mollusks. It’s historically proven that they were always an excellent source of protein and zinc, iron, calcium, selenium and a few vitamins for the Native Americans, who were living nearby the NYC harbor. The little suckers fast became a culinary mania of the settlers too, the Dutch, the English and the newcomers from all over the world. Whole neighborhoods of the city were proudly advertising the oyster consumption, from street vendors to holes-on-the-wall eateries, to fancy restaurants, where often oysters were accompanied by booze and women. 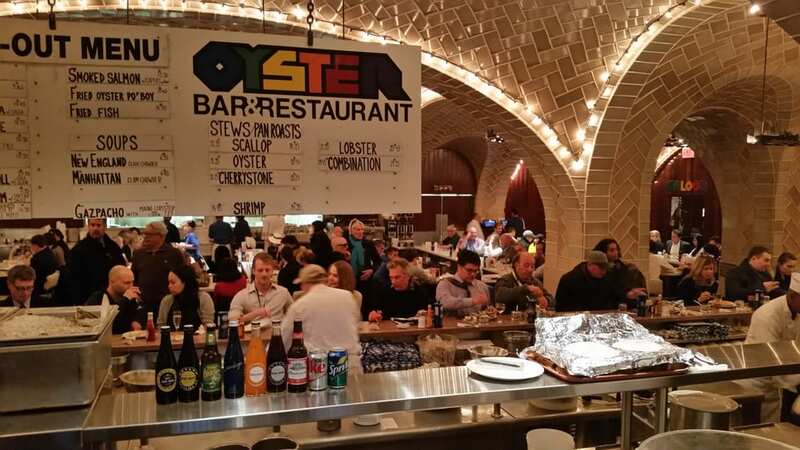 Certainly, the most iconic place in NYC to get a glimpse of this rich history is the Oyster Bar, located on the lower level of Grand Central Terminal. There are better places for oysters in NYC, but few of them have a well over a century history and vaulted ceilings covered by authentic Guastavino tiles. On your way out, don’t skip the cheesy-still-so-fun Whispering Arches attraction. How many inventions have been made out of a mistake, right? This is how I discovered Deluxe Green Bo in Manhattan’s Chinatown. 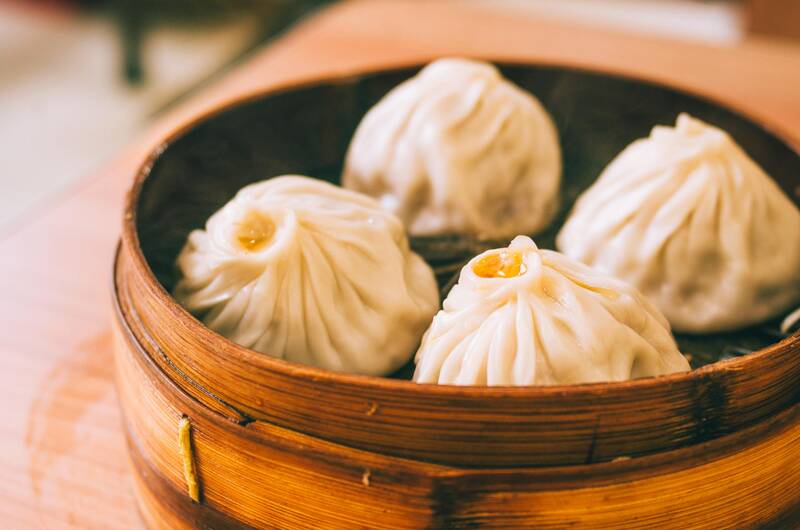 On my research for the best soup dumplings of NYC, I headed to a famous joint in the neighborhood, and when I thought I had found it I order a basket of 8 juicy dumplings. Oh my god, I told to myself, this place deserves to be so famous. But no! I quickly understood that I’m in a totally different place from the one I thought I was! Next day, I made it to the famous one, but believe it or not, their soup dumplings were only a pale resemblance to the “fake” ones. Since then, I made peace with my weak orientation skills and I’m beelining to this temple of the pouches of happiness whenever I need some real comfort food. They only accept cash. It even makes a kind of rhyme, you got it? This temple of smoked fish in the Lower East Side goes back four generations. It’s so touching that its storefront has welcomed millions of fresh off the boat immigrants just arrived from the Old World, hordes of sassy housewifes with huge baskets storming in to purchase goodies for their families’ meals, working class people buying some lunch and fancy Jewish ladies stocking their kitchen for the High Holidays. In a neighborhood that changes rapidly day by day, I follow a favorite pattern. 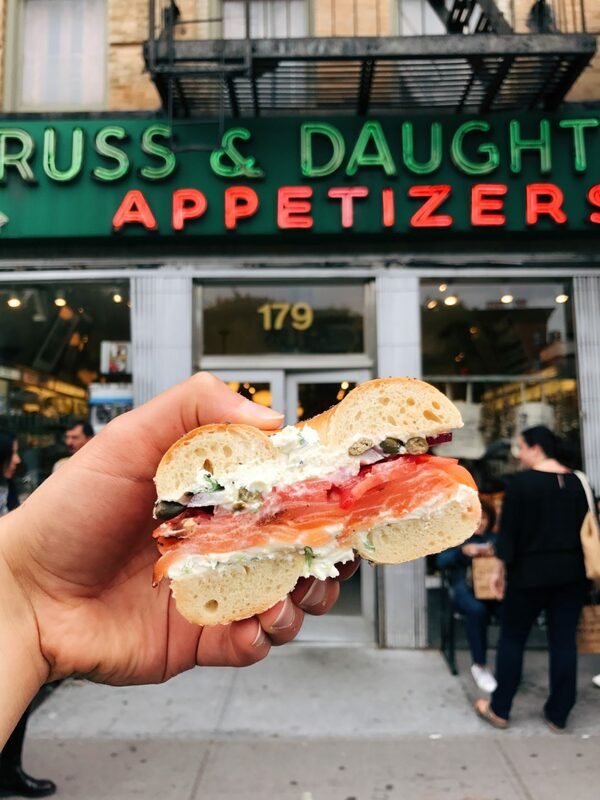 After a visit to the Tenement Museum, where I dig in to the fascinating history of the LES, I go to this Houston St. time capsule for a lox & bagel, with a schmear of scallion cream cheese and capers, and boy, do I travel back to that era? Sometimes I cheat on the lox with a spiced rubbed pastrami salmon. Let him who is without sin cast the first stone. I wholeheartedly (or should I say wholestomachly?) stand by all the above food establishments. Undoubtedly, they’re all some of the best representative spots for their featuring dishes. Having said that, NYC has a vast variety of culinary treasures from all over the globe and constantly sends our way new favorites. 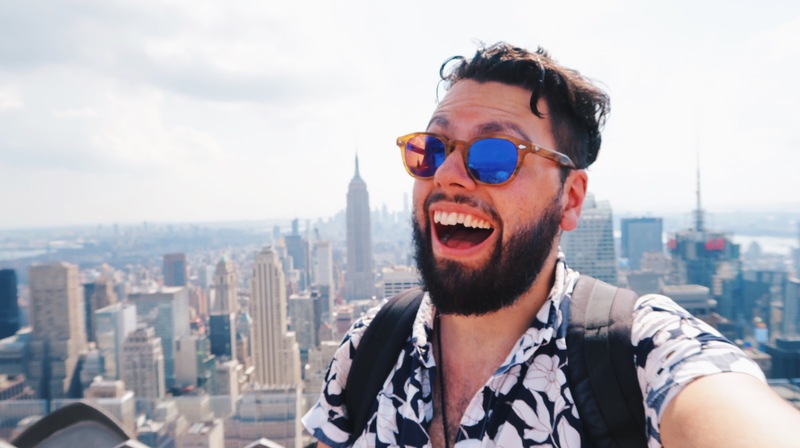 Allow me to go back to my food quest for new discoveries, in the meantime though, I’d love to hear your favorite flavors in NYC in the comments! Great Information ! Nice Post. It will prove very helpful whenever I will visit to the Newyork. Thanks fort the lovely post. We provide an experience of vicariously exploring a city unlike anything else out there. Our mediums of choice are Facebook Live, 360 video, video guides, and photography. The Urbanist community is loyal, addicted, and multiplying fast. From urban explorers to seasoned travelers, our community is yearning to learn about the best places to eat, drink, see, and shop.